There are more than 40 canals in Basra. Every single one is highly concentrated in bacterias, chemicals, and salt. Most of them are littered with trash, plastic and debris. These canals flow into Basra's main river Shat al Arab, where the water is pumped for its residents. 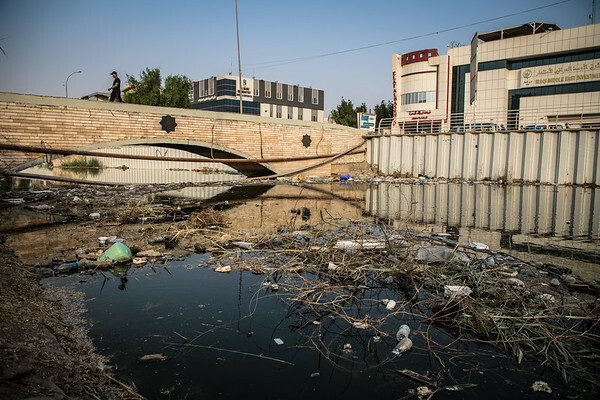 This hazardous sanitary situation resulted in more than 100,000 cases of waterborne diseases in the last three month, fueling public anger and protests.